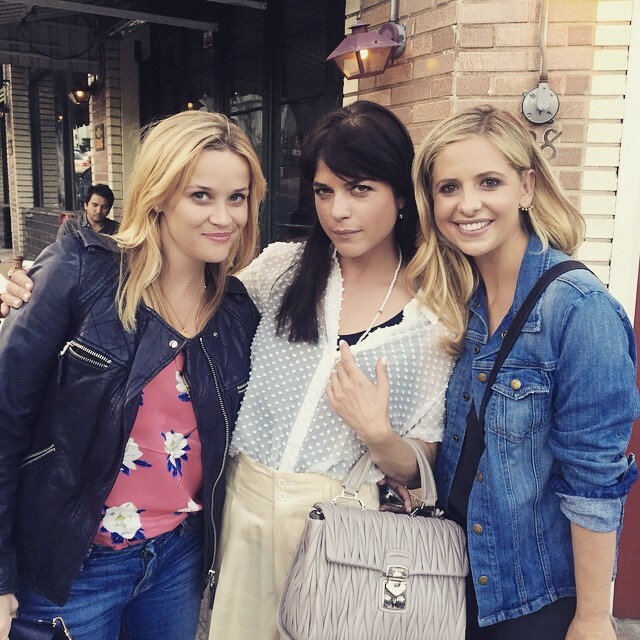 Reese Witherspoon, Selma Blair and Sarah Michelle Gellar put together a Cruel Intentions reunion in LA this week. The trio reunited to attend a showing of “The Unauthorized Musical Parody of Cruel Intentions,” where Selma Blair and Sarah Michelle Gellar recreated their memorable on-screen kiss. Check out the photos below.